Teabagpaper is used as a base for sewing foundation patterns. The paper is of high quality and therefore less prone to tearing. Also this teabagpaper is great when drawing lines with a fine liner pencil. This high quality paper can stay in your quilt, even if you want to wash the quilt. When you sew with a small stitch on the sewing machine, the teabagpaper will be easy to tear off, because the stitches wll make a perforation line. Of course you can use teabagpaper also to make your own tea bags with the tea of your choise. You can sew the two layers on the sewing machine, but it can also be sewn by hand. Each packet has a nice pattern as an example of a teabag. 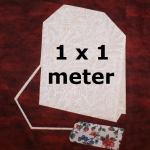 The teabagpaper is 1 meter wide. It is pre-packaged in the following amounts of available. Mentioned prices do not include shipping. Click on the image ‘Contact’ to go to the order form. When you copy the (Dutch) item code and mention it in your order form , you will receive a message back as soon as possible including an invoice. After payment of the invoice, your order will be send by mail . 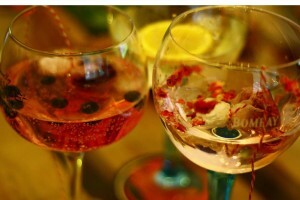 Besides using teabagpaper for foundation, the paper is also very suitable for tea or bouquet garni. 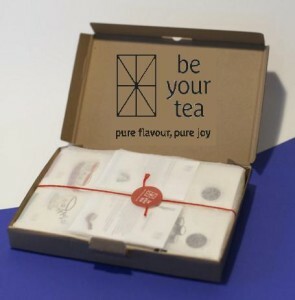 If you order one of these ‘TZP-packages’, you will get a nice pattern for a tea bag, including a description. 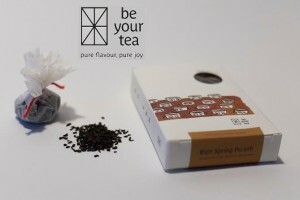 Nice (Belgian) website about tea and how to make it. Our paper is used in the surprise packages . 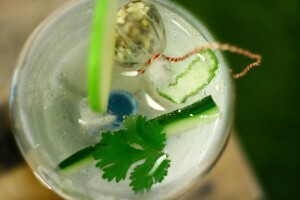 Upcoming a nice website about Gin and Tonic infusers, a kind of tea bag for a Gin and Tonic. Again, they use our teabagpaper to make the infusers.